Ancient castles, endless paella, late nights and a center of culture and industry, Barcelona is truly a global city, complete with a beautiful coastline, great weather, unique architecture and a vibrant ambience. The city has consistently ranked as one of the most popular places to study abroad, especially for language students. Barcelona encourages international students to apply to its various fantastic public and private universities, as well as several study abroad centers located throughout the city. If you are among those students who are looking for study abroad Barcelona programs, the following information would be of great use to you. Accommodation: In many instances, you would have the assistance of your university as many of them provide housing in student halls. If you choose to go for this kind of accommodation, you will have to share rooms with one or two roommates. Another option could be staying with local families that host students at accessible costs. If not this, then you can rent an apartment and share it with a group of friends. The average cost for this option in Barcelona would be €860 – €1,350/month. Living alone is also an option – you have the option of studio apartments or one-bedroom apartments and these would cost you around €550 – €710/month in Barcelona. Note: Bear in mind that the monthly rent is not the only cost – there are several associated costs with accommodation. Utilities such as electricity, heating, water and garbage disposal, along with expenses like the internet can cost you an average of €155/month. Food: This is perhaps going to be your second biggest expense after accommodation. You will have plenty of options to choose from the local cuisine – “paella”, “escabeche” or “merienda” are local favorites that you must try. A meal in an inexpensive restaurant would cost you around €10 and if you go for a fancier, medium restaurant, you can have a nice meal for €40. Transportation: Travelling in any part of Spain is pretty straightforward and easy. The transport network is well developed and consists of trains, buses and taxi cabs. Barcelona has a dense metro network and trains here run with a high frequency. The gaps left by the metro are covered by the trams. On average, the public transport in Barcelona can cost you a little over €1.5/day. Living in a city with so much culture and tradition, you should definitely move around and explore the wonderful places that Barcelona is home to. Explore Gaudi and modernism: This is considered one of the city’s finest tourist attractions. For anyone who wants to admire the city’s modernista achitecure and the work of Antoni Gaudi in particular, this would be the perfect place to visit. Enjoy a Concert: Barcelona is home to numerous live music venues including the Apolo and Razzmatazz. If this is the kind of entertainment you are interested in, the Gran Teatre del Liceu is a royal concert hall you will fall in love with at first sight. Enjoy the traditional tapas, pintxos and vermouth: Pintxos are basically Basque tapas and are a famous culinary trend in the city. Take a Hike up the magical Montjuic: Montjuic is the perfect mountain hike destination, with great views and an adventurous trail. So for those of you looking for some serious legwork and fun exercise, this is the place you need to visit. Indulge in the arts: If you are interested in the history of art, you must pay a visit to the Fundacio Joan Miro – one of the largest museums in the world and home to a collection of more than 225 paintings, 150 sculptures and graphic sculptures by the infamous Spanish painter. You may also want to visit the MNAC (Museu Nacional d’Art de Catalunya) that houses several Catalan art pieces from before the mid-20th Century. Take a Dip in the Mediterranean: Barcelona has almost 4 kilometers of beaches where you can spend your weekends, soaking away in the sun. The beaches of Sant Sebastia, Nova Icaria and Mar Bella are all fantastic options for beach visits with friends. Visit the ancient architectural masterpieces: Barcelona has an abundance of absolutely amazing pieces of architecture. The 14th century church, Santa Maria del Mar, the Gothic Quarter, the Santa Maria de Pi, Palau de la Generalitat, etc. are just to name a few option of the wonderful places you can visit. University of Barcelona: Founded in 1450, the University of Barcelona is classified among one of the best ranking universities in the world. 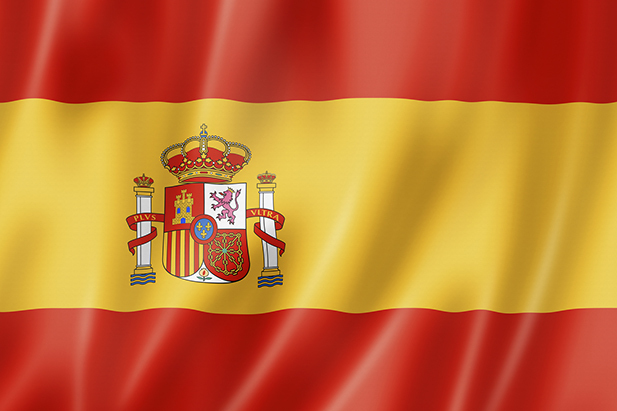 It offers high quality academics and is a huge research center in Spain. In 2009, it was recognized by the Spanish Ministry of Education as a Campus of International Excellence. With a student body of more than 63,000 students, the institute is truly a global university. Polytechnic University of Catalonia: Also known as Barcelona Tech, this university is known for its energy efficient campus and excellent research facilities. Students have a vast variety of options to choose from, including 53 bachelor’s degrees, 119 masters (21 of which are taught completely in English), and 59 PhD programs. The university also has exchange agreements with universities in 130 countries. More than 2,500 international students come to this university every year to pursue programs in various fields such as science, math and engineering. The city has a lot of other options such as the Open University of Catalonia, ESADE, EAE Business School, and International University of Catalonia and so on. Make sure you consider all your options before finalizing our study abroad Barcelona plans. Barcelona is a wonderful place to go for to pursue an education. It is the second largest city in Spain that has a highly cosmopolitan and international vibe. If you desire to be surrounded by impressive architecture and don’t mind being immersed in the Catalan culture, Barcelona is the place you need to seriously consider for your study abroad plans.